If you love a bargain breakfast, head to Burger King. 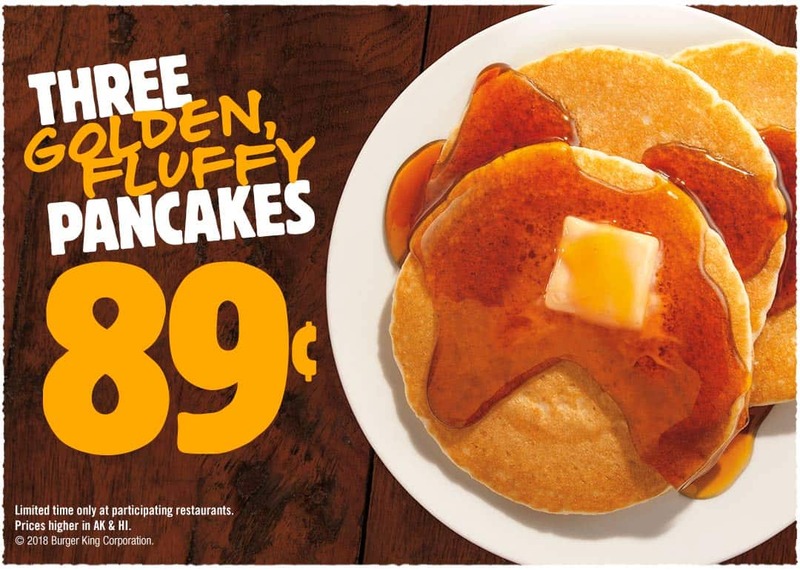 For a limited time, the fast-food chain is offering three pancakes for just 89 cents at participating locations. That’s less than 30 cents per flapjack! The offer is available during breakfast hours, which are typically 6 a.m. to 10:30 a.m. at most locations. For an additional cost, add hash browns, sausage or French Toast Sticks — for a bigger breakfast.